Last year’s winner Destiny’s Kiss heads a strong line-up of nominations for Friday’s $160,000 Wyong Gold Cup with the race attracting the interest of champion Victorian trainer Darren Weir. Weir could have his first Wyong Cup runner with the widely-travelled Mongolian Wolf who is among the entries for the Listed feature over 2100m. Raced by Newcastle-based Australian Bloodstock, the five-year-old Mongolian Wolf is a former New Zealander who won his first Australian start in the Group 3 Frank Packer Plate (2000m) at Randwick in 2017 after he was transferred to Weir from Kiwi trainers Murray Baker and Andrew Forsman. Mongolian Wolf began his current campaign in May, with Weir having given him four of his last five starts in Adelaide where he has recorded a win and two seconds at Morphettville over 2000m and 2400m. Warwick Farm trainer Joe Pride has given his tireless veteran Destiny’s Kiss a similar preparation to last year, running him at Rosehill last Saturday in the Gr 3 Premier’s Cup (1900m) where he finished tenth behind the import Avilius at his first start for six weeks. Destiny’s Kiss heads the Wyong Cup weights with 61kg. Last year he finished fourth in the Premier’s Cup before backing up six days later to win the Wyong Cup under 59kg, giving Hugh Bowman his third win in the race. The 10-year-old is a renowned Cup specialist and showed he can still match it with his younger rivals by taking out the Listed McKell Cup (2400m) at Randwick in May followed by placings in the Stayers Cup (3200m) and Winter Cup (2400m) in June. Winter Cup winner Harper’s Choice is also entered for the Wyong Cup. 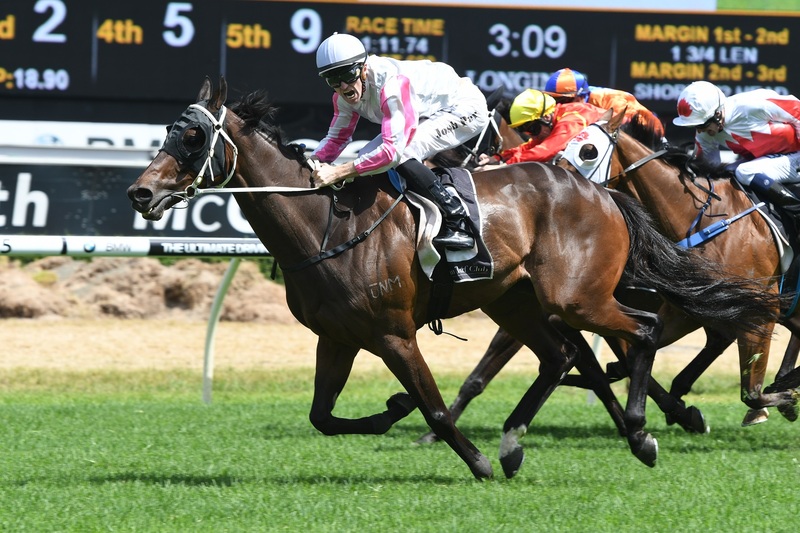 The Gerald Ryan-trained gelding was given a five-week break after his Winter Cup win and came back to land the Premier’s Cup Prelude (1800m) at Rosehill on August 11 in an impressive lead-up to the Wyong Cup. Other Wyong Cup nominations include last Saturday’s Premier’s Cup third Testashadow, Godolphin’s last start Moonee Valley winner Morton’s Fork, Taree Cup winner Shalmaneser and the Chris Waller-trained quintet Black on Gold, Carzoff, Brimham Rocks, Quick Defence and Raqeeq. Waller won the Wyong Cup five times between 2010 and 2015 with Hawk Island, The Verminator, Wazn, Multilateral and Beyond Thankful and has finished second in the last two runnings with Sacred Master and Sayed. Friday’s $125,000 Mona Lisa Stakes (1350m) has attracted a high-class list of fillies and mares with Waller’s Group One winners Egg Tart and Foxplay at the top of the weights. Other Mona Lisa entries include their classy stablemates I Am Coldplay and Another Dollar, the Kris Lees-trained quartet Zestful, Princess Posh, Milsean and Upscale, Gr 1-placed mare Shumookh, Godolphin’s promising Savatiano and the in-form Bjorn Baker pair Irithea and Smart Amelia.